Democratic Sens. 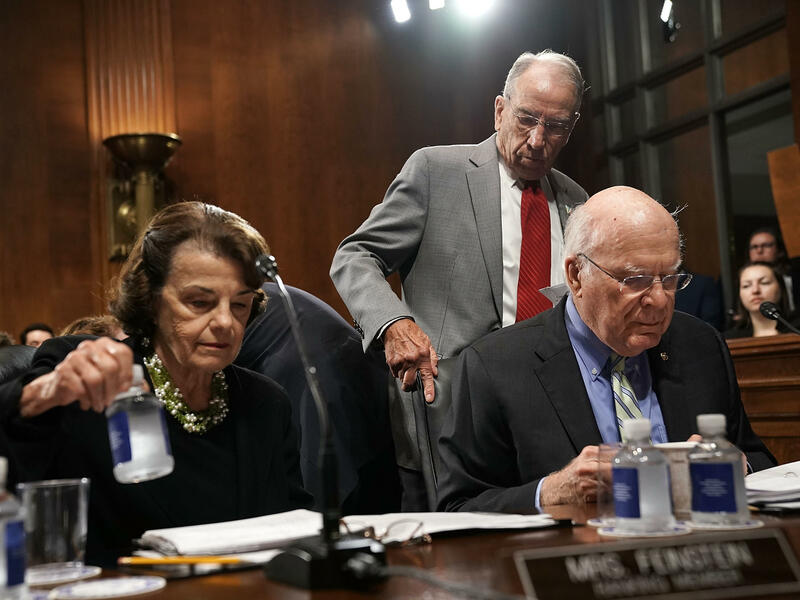 Dianne Feinstein and Patrick Leahy (seated) with Judiciary Committee Chairman Chuck Grassley. "I'd have the professionals go in there, seek corroborating evidence, talk to the people involved, certainly talk to the third person who they claimed was there, and that hasn't been done," Democratic Sen. Patrick Leahy of Vermont, a longtime member of the Judiciary Committee and a former chairman, told NPR's Morning Edition. "This might take a week or two to get all of this together, but what difference does one or two weeks make when you're talking about a lifetime appointment." That's when she came forward for the first time publicly in an interview with The Washington Post. She detailed her memories of the incident, saying that Kavanaugh pulled her into a bedroom along with another boy, then allegedly groped her, trying to remove her clothing, and put his hand over her mouth to muffle her screams. "This is a completely false allegation," he said. "I have never done anything like what the accuser describes — to her or to anyone. Because this never happened, I had no idea who was making this accusation until she identified herself yesterday. I am willing to talk to the Senate Judiciary Committee in any way the Committee deems appropriate to refute this false allegation, from 36 years ago, and defend my integrity." 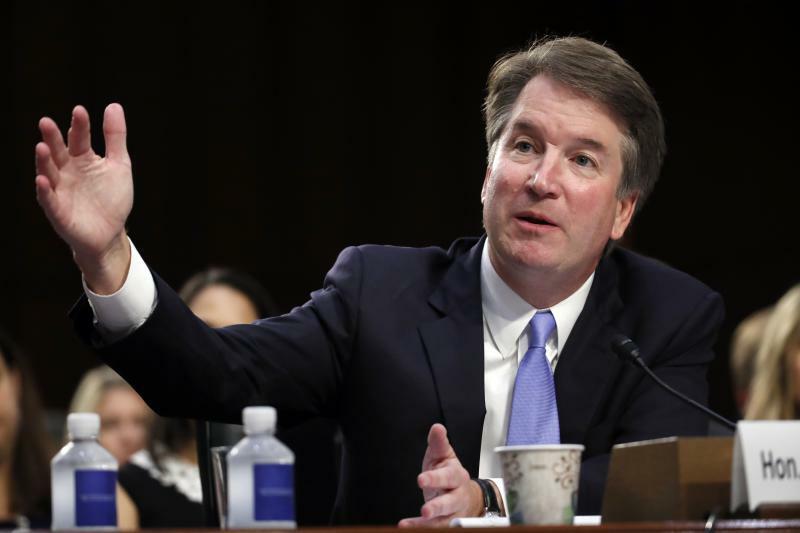 He will do that in a scheduled hearing Monday, in what Democrats worry will be a replay of another he-said, she-said exercise in 1991 when Anita Hill came forward with sexual harassment allegations against then-Supreme Court nominee Clarence Thomas. Grassley added, "Accusers deserve to be heard and, after they're heard and we also have a responsibility to hear Judge Kavanaugh, and I want to hear from Dr. Ford, and she deserves to be heard, because these are serious accusations." On Morning Edition Tuesday, Leahy suggested that another man who was allegedly in the room at the time of the encounter be called before the committee. Democrats argue that other witnesses could provide context and verify or refute parts of the stories that either person tells. For example, a friend and neighbor of Blasey Ford's told the San Jose Mercury News that Blasey Ford told her of the incident in 2017 before Kavanaugh was nominated. "It's been difficult for Blasey Ford over the years, [Blasey Ford] told [Rebecca] White, because the judge's name would come up as 'a super powerful guy and he might be a contender for a Supreme Court position one day.' "
Grassley told Hewitt he hoped the hearing wouldn't devolve into a circuslike atmosphere. The days of Kavanaugh confirmation hearings were often interrupted by protesters, and Republicans accused Democrats — especially those possible 2020 presidential candidates — of grandstanding. Grassley also couldn't answer whether each senator will get one or two rounds of questions. 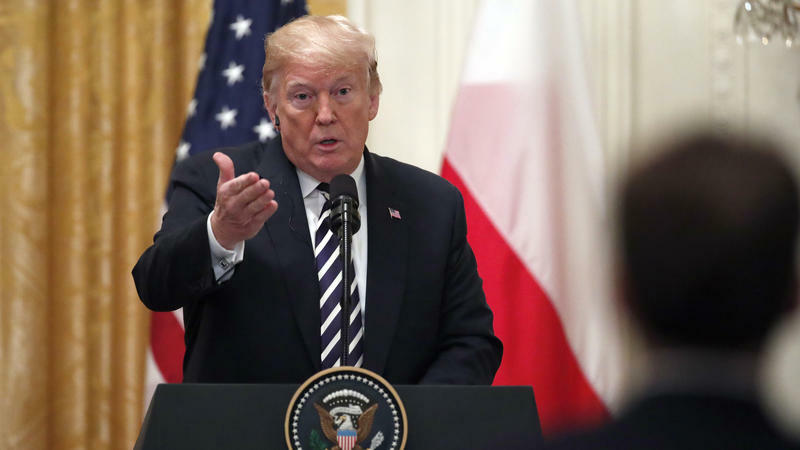 He said that hasn't been worked out and pointed to the Democrats, noting that there hasn't been a lot of cooperation from Democratic staff. Hewitt asked whether there was any thought of having a female lawyer or someone like former Republican Sen. Kelly Ayotte of New Hampshire come in to do the questioning since there are no Republican women on the Judiciary Comittee. For Republicans, who wanted Kavanaugh confirmed in time for the start of the new Supreme Court session beginning Oct. 1, a week or two would throw that timeline off. More important, Republicans want him confirmed before November's elections in the off chance that Democrats take control of the Senate. Who Is Christine Blasey Ford, The Woman Accusing Brett Kavanaugh Of Sexual Assault? 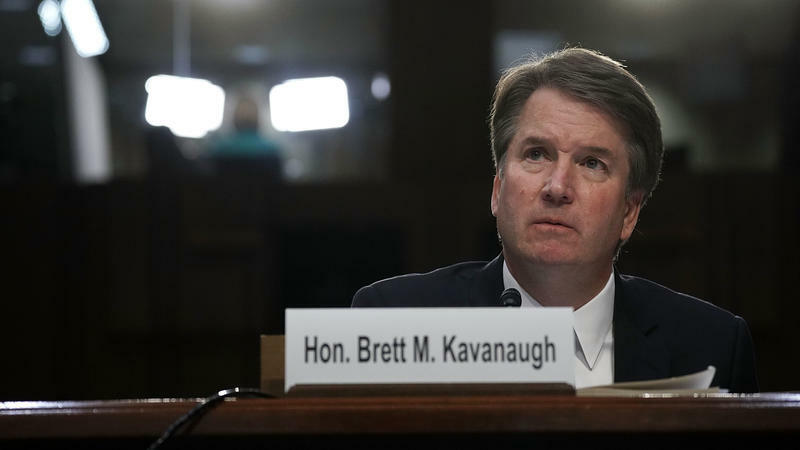 The woman who accused Supreme Court nominee Brett Kavanaugh of sexual assault revealed her identity Sunday in an interview with The Washington Post.